Frankie Cosmos, the up-close and tender musical project led by singer/songwriter Greta Kline, released their Sub Pop Records debut Vessel late March , and now they’ve just released a third new song from that album, “Apathy,” which you can hear below. Like earlier singles “Jesse” and “Being Alive,” “Apathy” finds Frankie Cosmos stretching beyond Kline’s intimate singing to explore the DIY indie-pop sound as a full band. The Band are having some fun with their videos. In their clip for “Jesse,” they messed around with the popular fringe YouTube video genres of ASMR and slime videos. Now they’re back with a video for “Apathy,” and it’s also pretty silly. With an interview, The new song Kline spoke about growing into her role as a professional musician, moving on from a pretty public relationship with Aaron Maine of Porches, and how maturity has changed her understanding of love songs she wrote as a teen. I didnt know her and Aaron​ broke up! 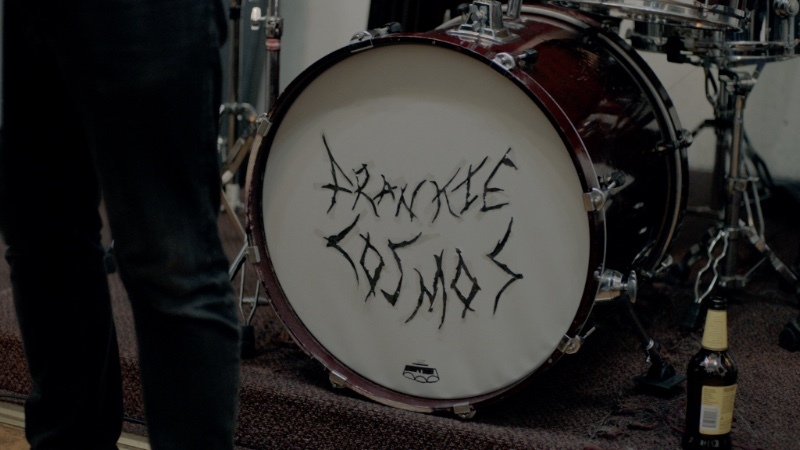 Great read, love Frankie Cosmos + Porches.